The Total Pie and Tart machine excels in producing large or small bases for high capacity production.The blocking press for smaller products produces no scrap. The use of stainless steel pallets offers more durability and allows for an easier and quicker change over for different product prodution. 12 Station Modular Rotary Pie Machine is designed for maximum output with the minimum amount of space and also with minimum setting time. The machines versatility and volume makes it unique in the area of rotary machines. It has the capability of producing in hoops, foils, tins or plastic containers ranging from 2"/50mm up to 8"/203mm in diameter and producing a large range of products consisting of soft fill pies, pork-pies , tart cases,quiches etc. Total Conveyors can be constructed in many ways to perform a variety of functions. 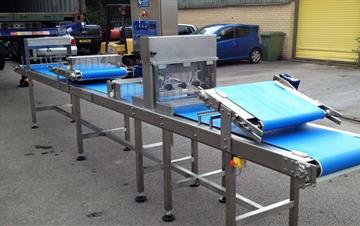 They range from a simple continuous running belt conveyor to indexing conveyors with Stainless Steel pallets. 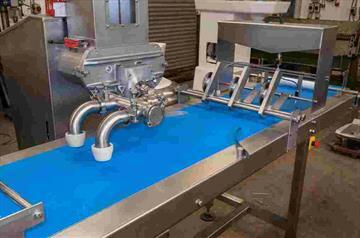 Features on the indexing conveyors include AC invertor speed control and a PLC to give adjustable run and dwell times. The PLC can also be used to supply signals to other units i.e. depositors or guillotines running in conjunction with such a conveyor. All conveyors are constructed in Stainless Steel and other suitable food quality materials and carry a relevant CE marking. 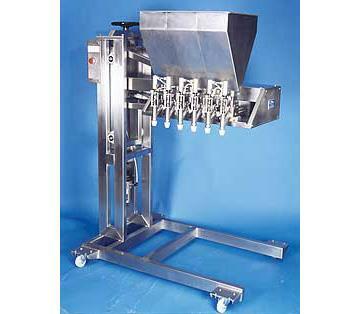 The Total Depositor can be single or have multi ported heads with an individual weight control on all parts. These can deposit a chunky or smooth sauce type filling. They are of a stainless steel construction, mobile or fixed to suit a customers requirements. They can have alternatiive outlet nozzles for different applications. Easy to clean with no hand tools needed. Up to 50 operations per minute. Is designed for maximum output with minimum amount of space and setting itme. The machine versatility and volume makes it unique in the area of dividing. 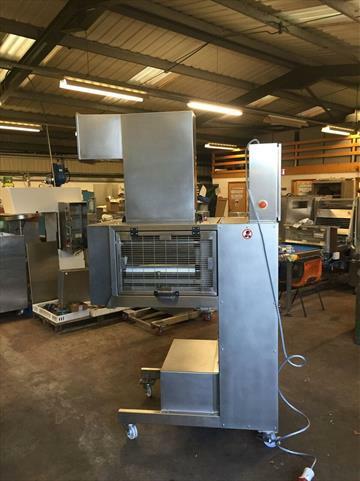 The unit is capable of dividing all types of dough, hot, cold or sweet. Developed for the manufacture of larger products. 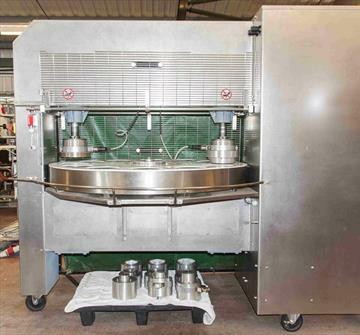 Able to produce Gala products or a Pork Pie produced in hoops or tins up to 12"/304mm deep. Suitable for a flan product up to 12"/304mm diameter 2"/50mm deep using a foil or tin. Able to produce continuous sheets to pre-determined maximum width and variable thickness from various baking materials e.g short crust pastry,sweet pastry, pizza dough, marzipan. 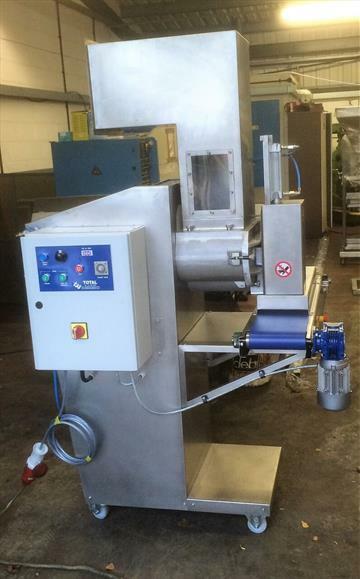 In its field this is one of the most practical machines manufactured.From reeled or lapped puff pastry it automatically produces sausage rolls or similar products for fast flowline production. The Total Fruitwasher 2000, which at an optimum rate of working yields 1800 kilograms of cleaned and washed dried vine fruits per hour, is a world class machine and has been exported to many countries. These machines also have an efficient removal of debris with a thorough washing process. Economic use of water, minimum moisture pickup along with a strong and reliable construction with compact design.